Robert Oren, one of the biggest veteran board game reviewers performs a live play through of A Journey Into Darkness, the first expansion for A Journey Into Darkness, the first expansion for Fallen Land: A Post-Apocalyptic Board Game. 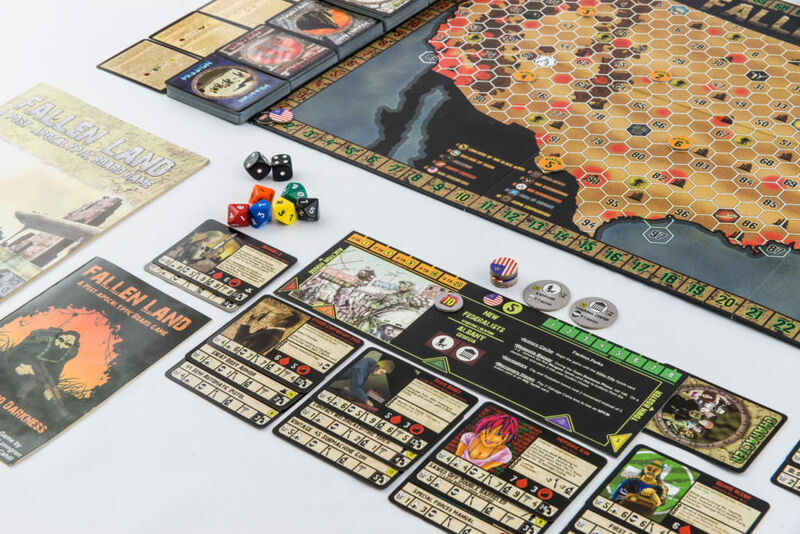 Big Johnny G from Two Gun Pixie do a complete play through of A Journey Into Darkness, the first expansion for Fallen Land: A Post-Apocalyptic Board Game. September 2016 Play Through Video: Patrick Phillips (Lead play tester) and Bill Pitcher (COO and Editor In Chief) from Fallen Dominion Studios conduct a play through explanation of the game. Justin Brown and Jon Lonngren Interview fans of Fallen land: A Post-Apocalyptic Board Game and talk to them about what make the game unique.